Since the onset of the euro-crisis, the old debate pertaining to the supra-national stabilisers in the euro-area has gained new relevance. 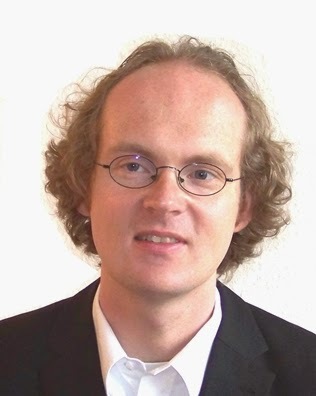 While economic textbooks have long stipulated that countries forming a monetary union need an alternative mechanism for dealing with asymmetric shocks and even the early feasibility studies on Economic and Monetary Union EMU had demanded a supranational transfer scheme (MacDougall 1977), EMU came into existence in the late 1990s without such a scheme. By now, most observers agree that the euro-crisis was (with the exception of Greece) is not the result of irresponsible fiscal policies, but the consequence of problems in the banking systems which resulted partly from national boom-and-bust-cycles. Hence, for a more sustainable and better-functioning monetary union, a growing body of literature now asks for mechanisms to dampen booms and bolster recessions. The new debate can best be observed in a number of European Union documents, such as the European Commission’s roadmap detailing propositions for a more complete monetary union; as well as that dubbed the “four presidents‘ report” prepared by the president of the European Council, in conjunction with presidents of the European Commission, the European Central Bank and the Eurogroup. The European Commission’s concept for “Social Dimension of EMU” is also an example of such documents, all of which call for a “fiscal capacity” for the eurozone. One of the currently widely debated proposals is the introduction of a European basic unemployment insurance which will replace part of the existing national schemes. Under the administration of such a system, a certain share of contributions to the unemployment insurance would be paid to a European fund instead of the national systems. Unemployed individuals in participating member states would also then be entitled to receive benefits from the European system. The European system would be designed in such a way that an individual is required to be insured under the system for a certain number of months prior to the stint of unemployment in order for the basic unemployment insurance to be administered. Benefits would be defined as a certain share of past earnings, up to a certain limit defined as a share of a country’s median income. These replacement payments would be limited to a relatively short time frame, e.g. one year. Benefits from the European unemployment insurance would be financed by contributions based on wages which would be collected through existing national unemployment insurance administrations. National governments could decide to top up the payments from the European level or extend its coverage to other unemployed groups. If a country does decide to top-up these extensions in their generosity they would then have to be paid for by national funds e.g. through national contributions to the national unemployment insurance. Figure 1 illustrates this principle: In the specific country depicted, according to national rules, unemployment benefits of 60 percent of past earnings are paid indefinitely. Here, the European basic unemployment insurance would pay 50 percent of past income for up to twelve months (the darker area) while the national unemployment insurance would have to pay the rest (the lightly shaded area). From the point of view of the unemployed, the introduction of the European unemployment insurance does not alter the generosity of unemployment protection. This set-up would assure a number of critical points. First, it would make sure that the scheme’s generosity is automatically adjusted to a country’s level of GDP per capita. As the unemployed in poorer countries can be expected to earn lower wages, their replacement payments would also be lower in the case of unemployment and the converse would apply. As the maximum benefit level is tied to median income in a country, maximum benefits in rich countries would be higher than in poor countries. Third, the set-up prevents countries from shifting the costs of long-term unemployment to partner countries. As the basic unemployment insurance is only paid for a limited period of time and only for those who had been in employment prior to the stint of unemployment, it is not paid to the long-term unemployed. Fourth, while some countries would make net payments to other countries, for the euro-area as a whole, the introduction of the system would leave the fiscal burden for employees and business overly unchanged. As the system just replaces part of already existing national systems, both with regards to payouts and contributions, the overall costs would remain unchanged and moreover, the contributions towards unemployment insurance could be expected to remain constant. As regards to membership, ideally, the European unemployment scheme would be introduced at least for all euro-area countries. However, it could also just be introduced for a sub-group of the euro-area or for a larger group, including countries which have a fixed exchange rate towards the euro and hence could need some additional macroeconomic stabilisation as well. The proposed unemployment insurance would clearly contribute to macroeconomic stabilisation among the participating countries. In a downturn, the net amount a country is paying into the system would decrease as the first contributions from this country will be utilised for the purpose of contracting employment, and second, payouts would increase with rising unemployment. This would support purchasing power in a country and hence stabilise GDP. In a boom; increasing employment would lead to higher net payments into the system, first by higher contributions and second, by lower payouts. This would drain purchasing power from the country in question and limit overheating of the national economy. While in principle such stabilisation could also be provided by a purely national system which is allowed to borrow in financial markets during a downturn, experience from the recent years tells us that this is not necessarily sufficient. First, we have learnt that a downturn can be so severe and the related deterioration of a country’s fiscal position so stark that countries are effectively cut off from financial markets and are forced to cut expenditure pro-cyclically. Second, as euro-area countries are now subject to strict fiscal rules, room for new borrowing (even in a recession) is limited. Clearly, this scheme would not support the most vulnerable in the labour market such as the long-term unemployed, but it is not intended to do so: It is a macroeconomic tool, not a social policy tool. Thus, indirectly, it also helps the long-term unemployed and the young: If it stabilises output and employment overall, it makes it also easier for the most vulnerable to find new employment. By now there are a number of studies which try to gauge the stabilisation impact of such a proposal. Most studies agree that such a scheme would not always have a strong stabilising impact on the business cycle, but would have been highly effective in bolstering the downturn in some of the hardest-hit crisis countries over the past years, had it been in place at the onset of the global economic and financial crisis of 2008/9. For example, in Spain, the downturn of 2008/9 could have been reduced by more than 25 percent, depending on certain assumptions. Depending on assumptions, average annual transfers through this system would be between €20 and roughly €50 billion and could be financed by a payroll tax between 0.7 and 1.7 percent. Of course, there are a number of contentious issues. Active and passive labour market policies differ strongly between the member states and it is an open question in how far they are compatible with such a basic European unemployment insurance. There also might be moral hazard issues: If the larger part of unemployment benefits is covered by the European level, national unemployment administrations might become reluctant to use activation policies for the unemployed. Moreover, there might be a danger that the national level tries to “play” the system, e.g. by putting unemployed into temporary employment to make the again eligible for the European benefits. Yet, in contrast to other fiscal transfer schemes proposed by other authors based on, for example, the national output gaps such as Enderlein et al. 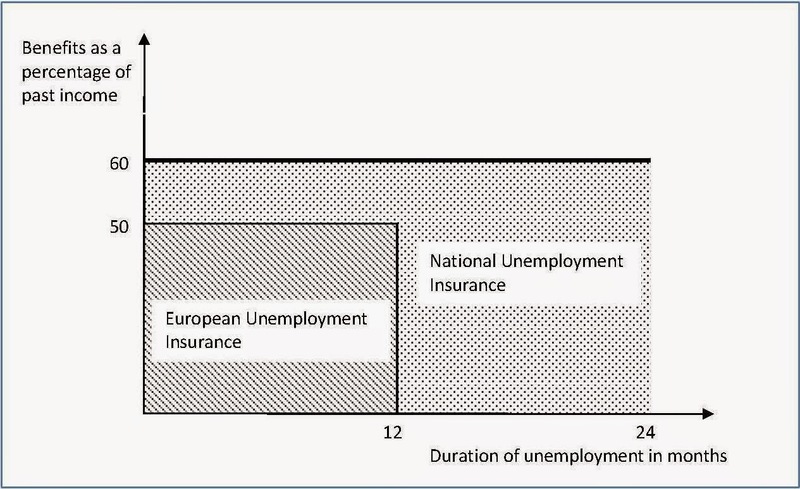 (2013), the European unemployment insurance has some clear advantages: The logic is easily understandable to the wider public and unemployment figures are not subject to revisions. Moreover, the transfers would be to individuals having earned entitlements on the payments, not by national governments, bringing it closer to the people. Thus, while the proposals in their current form are far from ready for implementation, the debate about them will go on. The following paragraphs draw heavily on Dullien (2014a). Dullien, S. (2014), A European Unemployment Benefit Scheme: How to Provide More Stability in the Euro Zone, Bertelsmann Stiftung, Gütersloh. Dullien, S. (2014a), The Macroeconomic Stabilisation Impact of a European Basic Unemployment Insurance Scheme, Intereconomics, Vol. 49 (4), pp. 189-193. Enderlein, H., L. Guttenberg and J. Spiess (2013), Making One Size Fit All. Designing a Cyclical Adjustment Insurance Fund for the Euro Zone. Notre Europe Policy Paper 61. MacDougall, D. (1977), Report on the study group on the role of public finance in European integration, chaired by Sir Donald MacDougall. Economic and Financial Series No. A13, Brussels: Commission of the European Communities. Could one also consider a broader, anti-poverty approach? For example, the eurozone would set standards for a targeted (means-tested) cash transfer scheme like the one in Brazil (Bolsa Familia) and some other developing countries. The scheme would be managed at the national level under EU supervision and funded through EU-wide taxes. Poor countries and countries in recession would receive more from the EU fund and contribute less, and vice versa for better-off countries and countries in a boom. There would therefore be both a transfer and an anti-cyclical effect. Sorry, my earlier comment is inconsistent about the proposed anti-poverty allowance's territorial scope. I see it as covering eurozone countries and countries whose currency's exchange rate is fixed to the Euro.